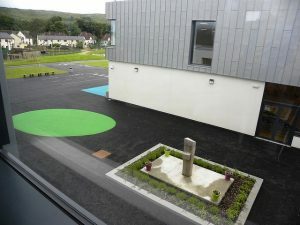 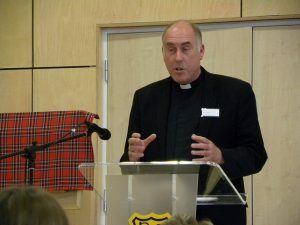 At the official opening of Highland Council’s Caol Joint Campus comprising Caol Primary School, St. Columba’s Primary School and Caol Community Centre on Friday 23 June 2017, Bishop Brian McGee helped St. Columba’s pupils to make an important link with the traditions of their former school. 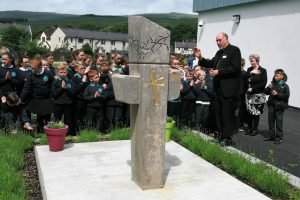 The stone cross which was a central part of the old building was brought to the new campus where Bishop Brian led the children in a prayer to rededicate the cross in its new setting. 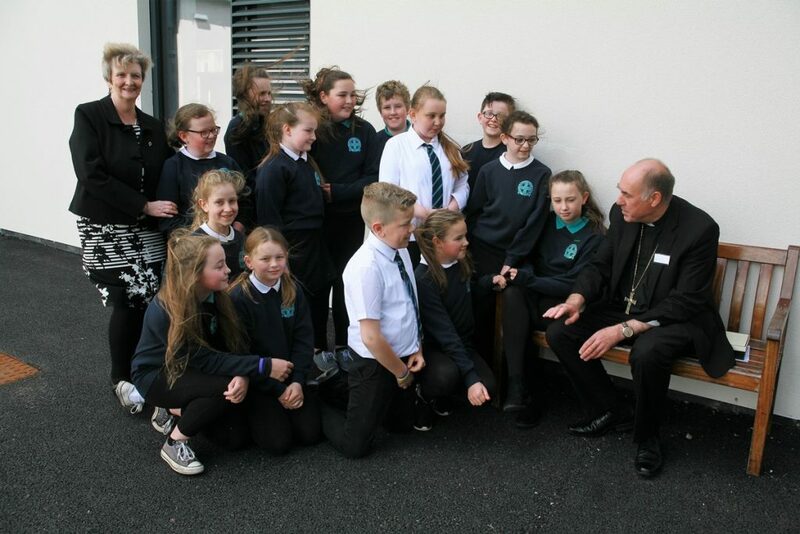 Head Teacher Violet Smith and senior pupils had a chance to chat with Bishop Brian.